A little reminder that a bit of texture goes a long way. Shag coat c/o Willow and Clay, American Apparel choker top, Mango wide leg pants, Stag bag c/o Etienne Aigner (similar here), Vince Camuto wedge boots. Shot by Isaac Lacey. Still need convincing? Check out the snaps below from my last round of #NYFW shows including Rebecca Minkoff, Hervé Leger, Naeem Kahn and Libertine. Though pattern definitely played a part in some of them, it's the textures to me that truly stood out. 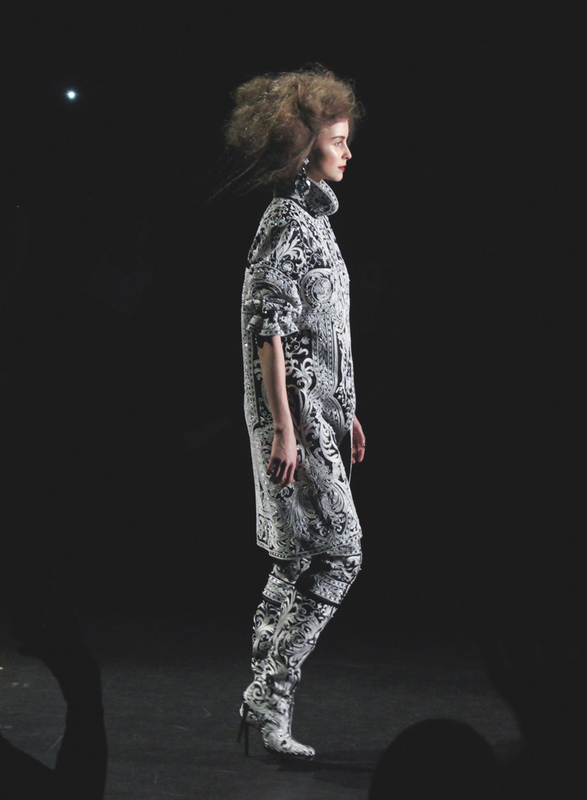 Hope you've enjoyed my snaps from fashion week as much as I've enjoyed sharing them! Kind of sad to leave the runways and get back to reality, but ultimately c'est la vie! 1. & 2. 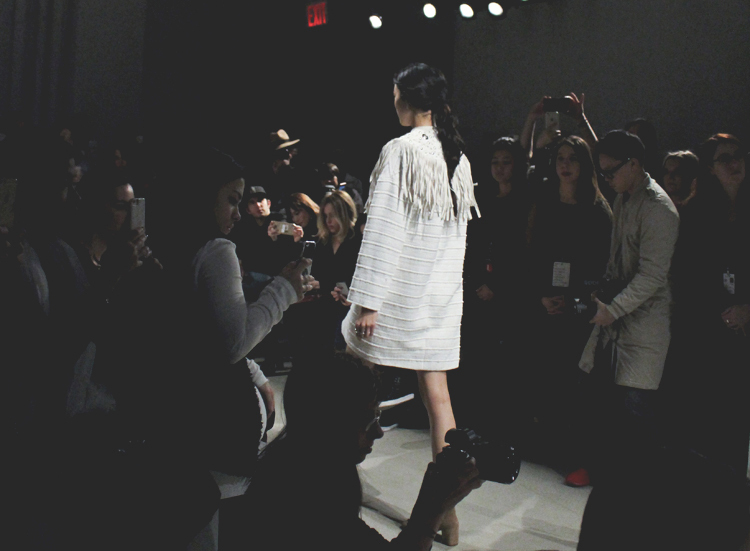 Fringe, ruffles and tweed added depth to some of Rebecca Minkoff's clean, all-white looks at her first #SeeBuyWear show. // 3. Fur, studded tights, fringed booties! 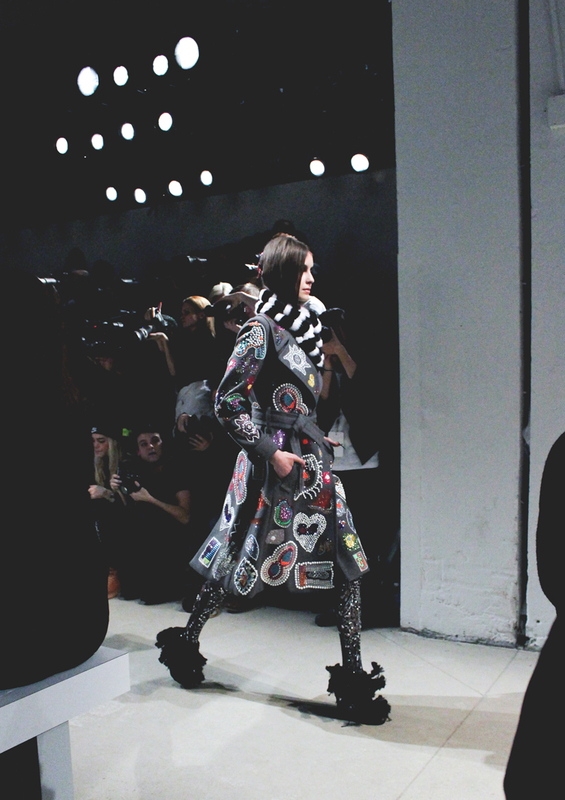 Libertine didn't shy away from mixing textures (or much, really) on the runway. // 4. 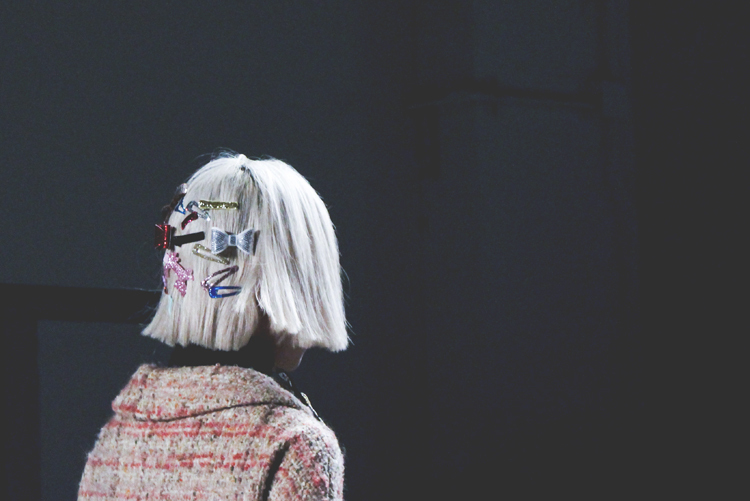 Even the hairstyles at Libertine mixed different textural elements into them. // 5. 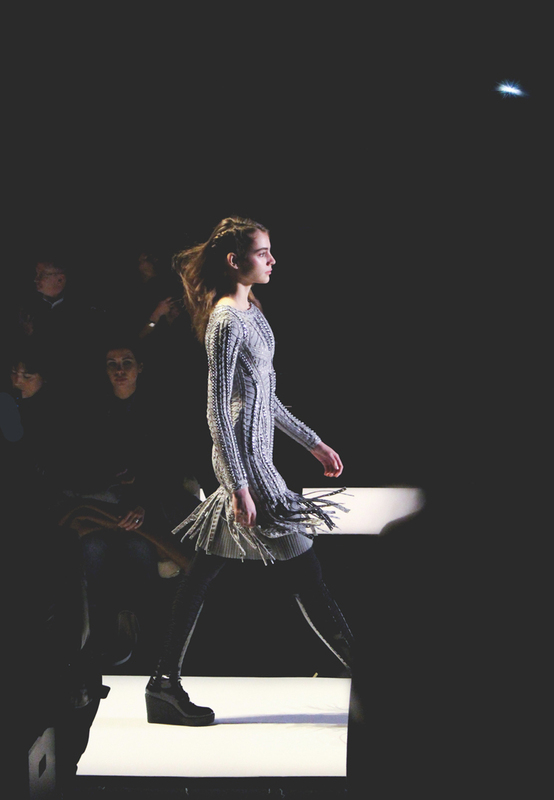 Herve Leger added depth to their usual bandage dresses by way of studs, fringe and elaborate draping. // 6. & 7. Brocade, metallic accents and fringe gave a nod to the roaring 20's and art deco influences on the decadent runway of Naeem Kahn. I love this coat, and perfect with an all black outfit. Gorgeous! That coat is every damn thing. The black one is my favorite ????? Beyond beautiful! I love your burgundy fur coat - it looks perfect with your outfit. Love the Palazzo pants with the crop top and the fur coat! Gorgeous! that jacket is amazing! and I love the movement of the textures you captured in your pictures! Gorgeous mix of textures, great for spring! So true!! 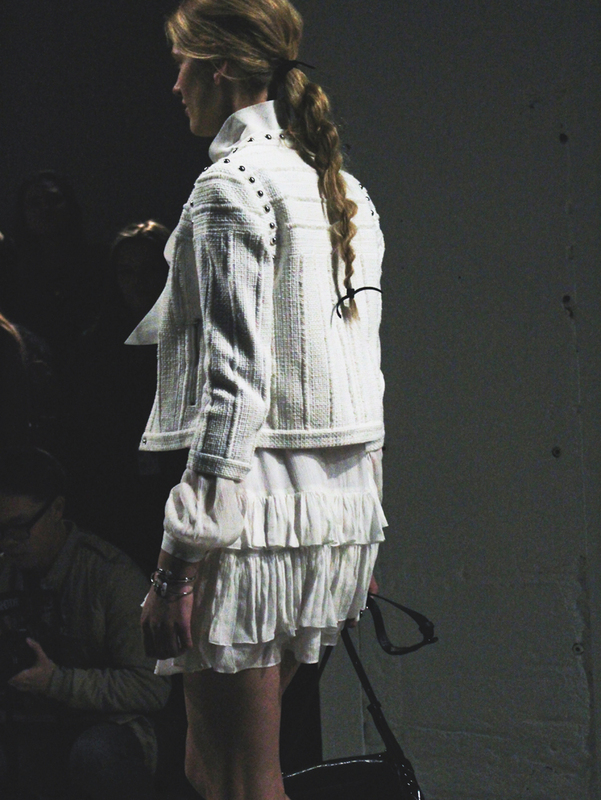 I love texture, I saw a jacket in a shop in GC a faux fur black and white striped number. I should have bought it. And loving your pix from the shows!